Vox Amplification started making guitar amps back in 1957. After introducing the Vox AC15 and the Vox AC30 they quickly became legends defining the sound of the British Invasion for the UK and the world. In 1959, with sales under pressure from the more powerful Fender Twin and from The Shadows, who requested amplifiers with more power, Vox produced what was essentially a double-powered AC15 and named it the AC30. The AC30 helped to produce the sound of the British Invasion, being used by The Beatles (who became tied to Vox amplifiers as a deal was struck early in their recording career whereby they would be provided with Vox equipment for exclusive stage use), The Rolling Stones, The Kinks and the Yardbirds, among others. AC30s were later used by Brian May of Queen (who is known for having a wall of AC30s on stage), Paul Weller of The Jam (who also assembled a wall of AC30s), Rory Gallagher, The Edge of U2 and Radiohead guitarists Thom Yorke, Jonny Greenwood and Ed O’Brien. Today Vox Amps, now owned by Korg, are still at the forefront producing a large range of amps (electric, acoustic and bass) and guitar effects. 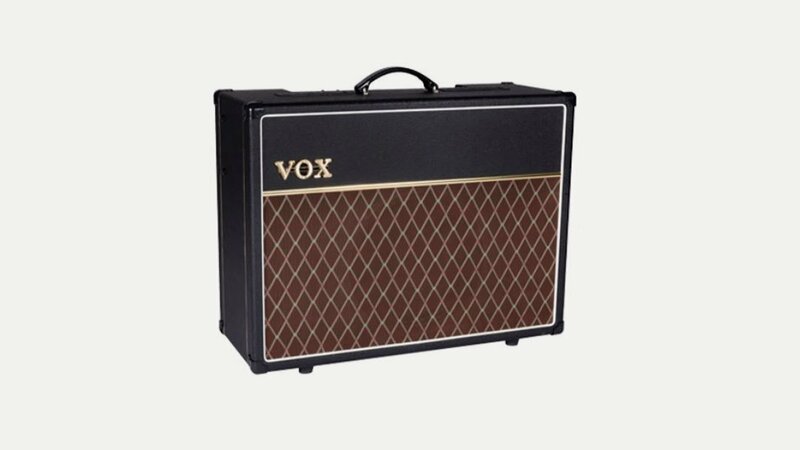 Whilst undeniably ‘British’ Vox have built all their amps in China since 2005.